Murder.Mayhem.Suspense.Romance.Zeus is a crazed killer who uses QR Codes to taunt the cop hot on his trail.Mad Dog Weber, a tough-as-nails member of the Seattle police force, is willing to do whatever it takes to bring Zeus down. Despite her best intentions, Mad Dog falls in love with her dad’s hired hand, putting them both in danger.Erik Moore is running from his past and trying to avoid the future when he finds himself falling in love with his boss’ daughter. 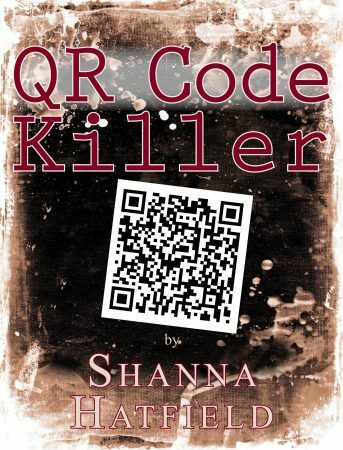 Unknowingly, he puts himself right in the path of the QR Code Killer as he struggles to keep Maddie safe.From the waterfront of Seattle to the rolling hills of wheat and vineyards of the Walla Walla Valley, suspense and romance fly around every twist and turn. When she raised her baby blues to Erik, he thought his knees might buckle. He wanted so badly to kiss her, he could barely focus on anything but her lips and how soft and inviting they looked. Maddie purposely missed the target she was supposed to be aiming at by several feet.